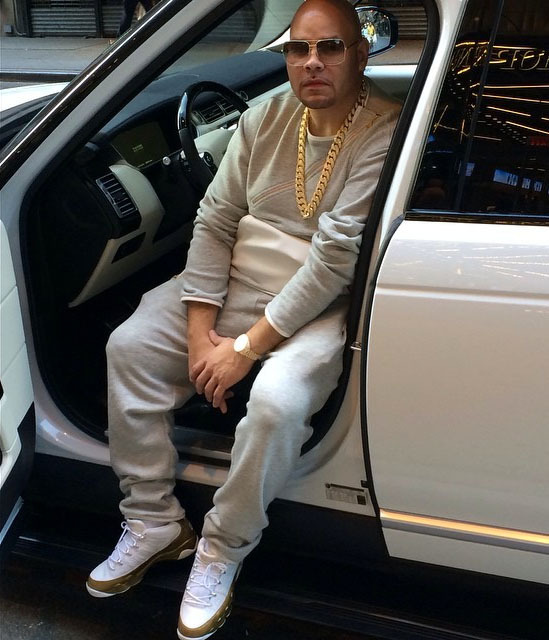 Before blog features and product seeding, there were celebrity sneakerheads like Fat Joe exposing the culture to mainstream audiences. Before blog features and product seeding, there were celebrity sneakerheads like Fat Joe exposing the culture to mainstream audiences. Joe is as legit as it gets, and his collection speaks for itself. Yesterday, Joe shared this photo of himself on Instagram. While most commenters pegged his sneakers as the Bin23 Air Jordan 9, it appears that he actually wore Marshall Faulk's Air Jordan 9 Low PE from 2002. They wear the same size, so it makes sense. 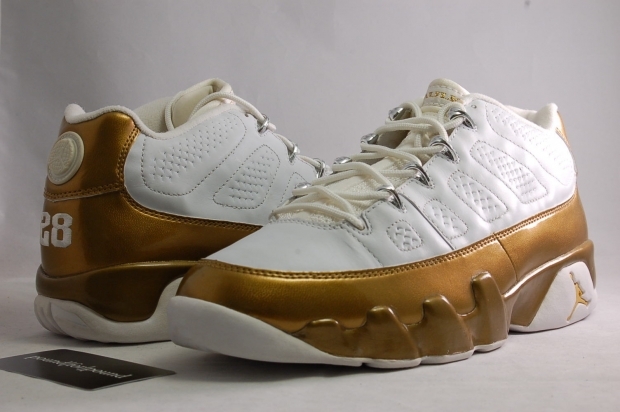 Between Drake, Usher and Joe's recent selections, do you think gold will replace red as the sneaker flavor-of-the-moment?